Booting up Animal Crossing: Pocket Camp for the 28th consecutive day, I find myself in rhythm with the beats of the game. I know when to log in, how long I’ll play in a given sitting, and I find myself maximizing what little time I have at work to get the most out of it. It’s an effort to get to this point, but I’d say after nearly of a month and countless hours of playing, the effort has been well worth it. 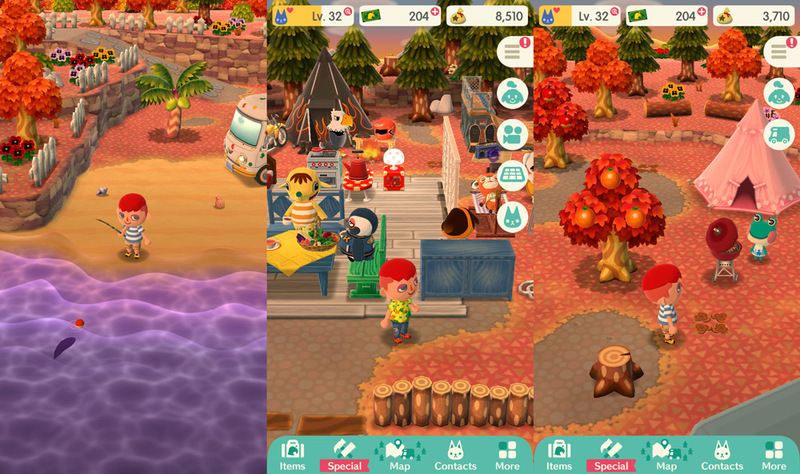 Animal Crossing: Pocket Camp is Nintendo’s third stab at creating a mobile game with DeNA – fourth if you count Miitomo, which I don’t – and is probably the most successful the partnership has been at recreating the console/handheld experience on a phone. Pocket Camp looks, plays and charms just like a standard Animal Crossing game, only miniaturized. Instead of a whole town to make my own, there is only a small campsite. Instead of hundreds of possible visitors, there so far is only a select few. Pocket Camp’s world is broken up into eight pocket-sized locations: my campsite, Lost Lure Creek, Sunburst Island, Saltwater Shores, Breezy Hollow, Market Place, Shovelstrike Quarry and OK Motors. Each location represents a feature of the land found in traditional Animal Crossing games. Breezy Hollow houses a tree with nearly every fruit in the game, Saltwater Shores is where I can fish for sea life, Market Place is where I find Kicks and the Nook kids selling their wares, and so on. The two locations that are somewhat unique to the game are Shovelstrike Quarry and OK Motors. The former is a mini-game where I can break rocks for prizes that in no way equal the cost of entry and the latter is where I can upgrade my motorhome for a small loan. 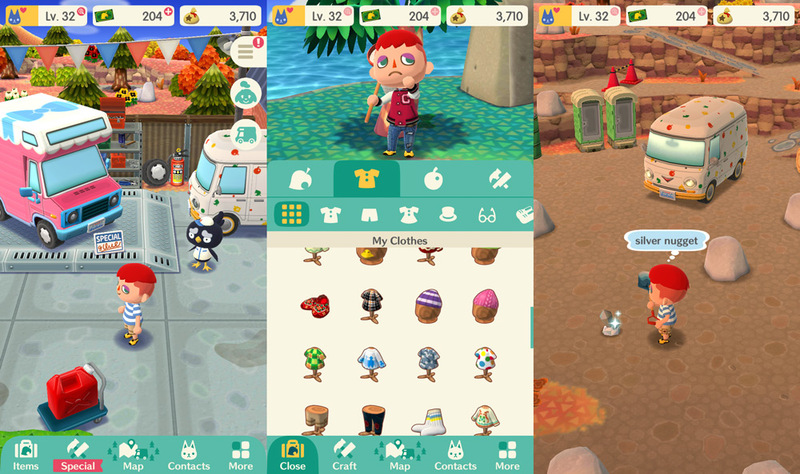 Every three hours at four of those locations – Sunburst Island, Lost Lure Creek, Saltwater Shores, and Breezy Hollow – an Animal Crossing character will pitch their tent and task me with completing up to three requests per visit. These tasks amount to nothing more than giving them whatever items they’re looking for, all of which can be found in the game. There will also be other players visiting who I can make friends with and visit their campsites. When I raise my friendship level with a character high enough, I can ask them to visit my campsite. Before they do, I have to craft several items of their choice. This is the progression loop. I complete requests to raise friendship levels and gather supplies I need to construct decorations they deem necessary to visit my camp. Once I have all the items built, they can become permanent visitors to my site. I can also manually switch them out if I want to change it up a little. When I am not making friends, I am doing those standard Animal Crossing activities that have been with the series since its debut. I’m still shaking trees to collect fruit, fishing for sea and river creatures, catching bugs, and collecting seashells. Each of those deeds has been greatly simplified for mobile controls. I just tap on a bug or fish I want to catch and tap again when the exclamation point shows. I tap a tree to shake it and then tap every fruit that falls from it to collect. Pocket Camp is such a buttery smooth experience and with the update to version 1.0.0, I have seen fewer drops in the frame rate and speedier loading times. As with all decent free-to-play games, the first week is the best. Progress is fast, simple and cheap. It seems like every 20 minutes there is somebody new coming to the game, wanting to make friends and visit my campsite. Building the items they need to visit is a snap and in no time I have a campsite filled with new animal friends who want to remind me to visit OK Motors or buy some Leaf Tickets. Playing every day for nearly a month, I hit the point where progress slows to a crawl. It’s not the waiting periods for crafting that is slowing me down; it’s the availability of supplies. Early in the game, I was drowning in supplies to craft with. Now, I need to complete several days’ worth of tasks just to save up enough cotton to craft a couch. Building enough items to coerce someone into visiting my campground is now a week-long project instead of something I can do in a day. There are also special items I’ll be asked to craft that carry monumental costs. This is where the In-App Purchases come into play with Leaf Tickets. I complained in my review-in-progress that Leaf Ticket costs are too damn high and the sentiment remains. Spending tickets to access Shovelstrike Quarry is still a waste. Using tickets to complete projects will quickly drain my supply. Costs for limited special items, such as the Tom Nook or K.K. Slider chairs, are such an exorbitant price it makes deciding between the two of them something akin to the world’s lowest-stakes Sophie’s Choice. Not to mention, blowing all of my tickets on those two decorations – and make no mistake they are nothing more than campsite decorations – will require me to make heavy time investments in the future when new special items become available. But even with the slow grind of progress, Pocket Camp still manages to be something I enthusiastically return to several times throughout the day. 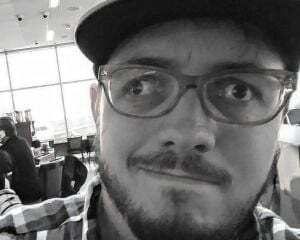 I like completing quests, I like going fishing and catching bugs. I like hitting up the stores and changing my fashion periodically. The classic Animal Crossing elements still shine here, though I don’t find myself spending as much time in my camper as I do my house in a standard game. What’s missing here is variety. Progression for all players seems to be set on the same path so every camp I visit has roughly the same furniture and the same visitors. Sure, around week four I start to see greater variations in campsite design, but each camp is still inhabited by the same characters you can find in mine. One of the great calling cards of Animal Crossing is no two experiences and no two towns are exactly alike. That’s not the case here. A month in, I have access to the exact same items as anyone else at the same level as me and somehow knowing that just makes everything a little bit less special. 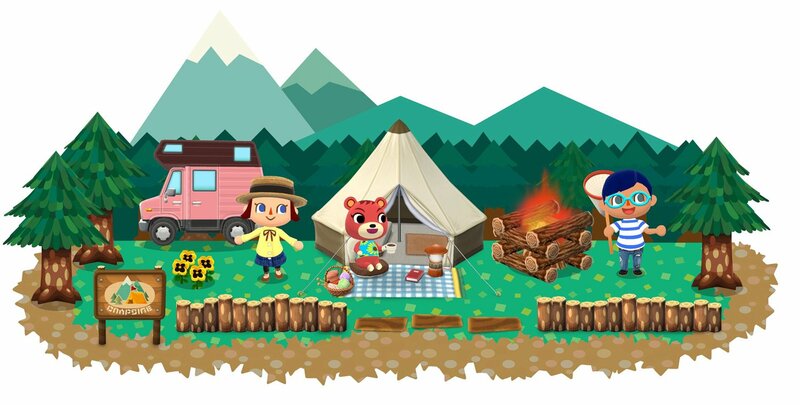 Other aspects of Animal Crossing didn’t, or have yet to, make the jump to Pocket Camp. There’s no Redd and his fake Picassos, no Joan peddling her turnips, no Dr. Shrunk and his terrible jokes. There is no museum or café. There also doesn’t seem to be any bad weather. Sunburst Island will always remain sunny and it can snow in other places during the winter, but I never see a day of rain or overcast skies. I know I shouldn’t be upset by the lack of something as simple as rain, but I miss all the little characters walking around with their umbrellas and galoshes. Playing Animal Crossing: Pocket Camp during its 0.9.0 phase is probably the most uneventful the game will ever be. Now that it’s launched worldwide, and if Nintendo and DeNA follow the route paved by Fire Emblem Heroes, we can probably expect a significant amount of events over its life that will make the experience livelier than this first month. But even with nothing of note happening in that time, I still managed to find that unique type of joy that comes along with an Animal Crossing game. It may not hook me the way a standard entry in the series does – or even that wonderful home makeover spin-off – but it absolutely feels right as a free-to-play game on my phone.